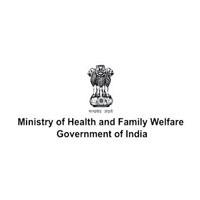 Ministry of Health and Family Welfare Jobs Recruitment Notification 2018.Ministry of Health and Family Welfare inviting applications for the positions of Drugs Controller.Interested and Eligible candidates can apply for the positions. Last Date for Submission of Application is on August 02nd, 2018..
1. Officers under the Central/State Governments/ Union Territories/Recognized Research Institutions/Public Sector Undertakings/ SemiGovernment/ Autonomous/Statutory Organizations. Willing candidates whose services can be spared for appointment to the post by Deputation (including short-termcontract)] so as to reach the undersigned [R.G. Singh, Under Secretary (Drugs), Ministry of Health & Family Welfare, Room No. 414-A, D Wing, Nirman Bhawan, New Delhi-110011] within three weeks from the date of publication of this advertisement in the Employment News.